BBMP counsel said houses on either side of the drains were being spared, and only those on drains were being demolished. BENGALURU: Even as the BBMP’s drive against encroachments on storm-water drains continued for the fourth day on Tuesday, the Karnataka High Court turned the heat on corrupt municipal officials. Refusing to stop the government’s action against buildings blocking the flow of rain water, Justice L Narayanaswamy directed the BBMP commissioner to name by August 23 all officials who had colluded with the encroachers. The BBMP list should have the names of officials who approved land conversion, sanctioned layout and building plans, and issued occupancy certificates for buildings on rajakaluves (master canals) and lake beds, he said. Section 321(B) of the Karnataka Municipal Council Act provides for punishing corrupt officials but does not quantify the punishment, he observed. “It is high time to direct the state to amend the necessary Acts to initiate criminal action against erring officials,” the judge said. Narayanaswamy made these remarks after dismissing a petition filed by Nama Krishnaiah, a resident of HSR Layout who had challenged the demolition of a portion of his house in Kasavanahalli in Varthur hobli. “A stay cannot be given because it will stall the operation virtually. The demolition drive was launched at the instance of a division bench of this court to retain the rajakaluves and lakes. I do not find any arbitrary action by the BBMP,” Narayanaswamy said. He contended he BBMP had neither considered the objections filed by the petitioner, nor provided proof that the house stands on a rajakaluve. In his counter argument, the BBMP counsel said houses on either side of the drains were being spared, and only those on the drains were being demolished. “The petitioner might have a sanctioned plan but he has encroached a rajakaluve that is obstructing the flow of water,” he said. 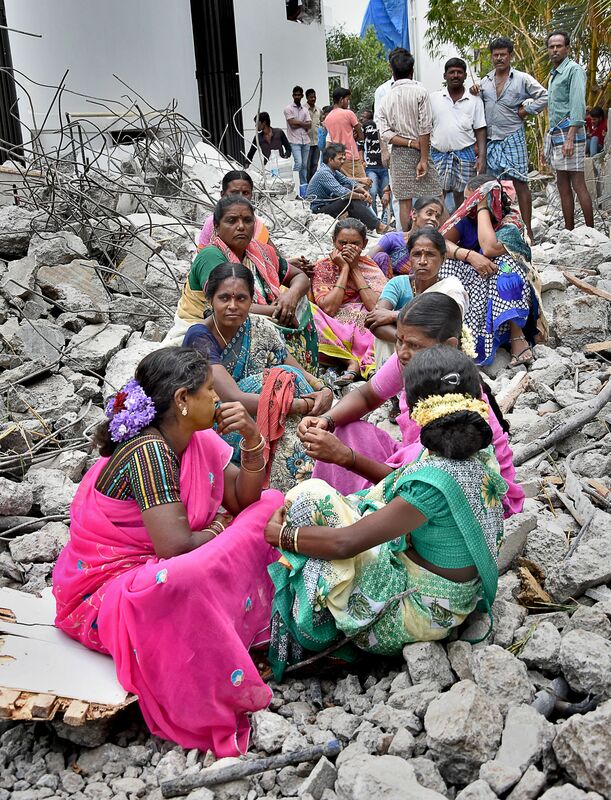 Defending the demolitions, Advocate-General Madhusudan R Naik recollected the 2015 floods in Chennai, which claimed 500 lives and displaced 18 lakh people. “We are equally serious about sending a message to the authorities who allowed unauthorised constructions,” he said. The BBMP had filed an affidavit before the High Court in August 2011, promising to clear the encroachment of storm-water drains, but it has a long way to go.